From Angela Hunt, the author of the bestselling 'Delilah' comes the unheard story of Chava, the secret best friend of Cleopatra. You Don't Know Her Name. The World Remembers Only Her Greatest Friend: Cleopatra. Raised together in the Alexandrian palace, Chava, the Hebrew daughter of the royal tutor, and Urbi, an Egyptian princess, become as close as sisters--and rivals with their dreams of greatness. When Urbi unexpectedly ascends the throne as Queen Cleopatra, Chava believes their bond is strong enough to survive. But absolute power has a way of changing everything. The ultimate betrayal rips Chava from everything she's ever known and sends her to the lowest rung of Roman society where she must choose between love and honor, between her own desires and God's will for her life, if she hopes to rise again. 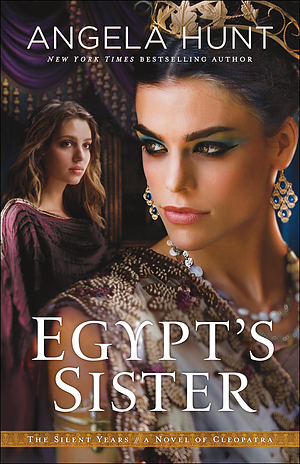 Egypt's Sister by Angela Hunt was published by Baker Publishing Group in August 2017 and is our 8749th best seller. The ISBN for Egypt's Sister is 9780764219320. Be the first to review Egypt's Sister! Got a question? No problem! Just click here to ask us about Egypt's Sister.